In this post I want to share some insight related to spiritual warfare. This has been in the making some 14 years and I’ve never shared it before because God was actually unpacking this revelation to me. This process started with something God said to me 14 years ago and I needed to gain the wisdom, knowledge & experience based on what He said to write this. My thought was… what? Then I asked Him “what do You mean by that?” He said nothing else. I thought no weapons formed against us shall prosper? I thought we were protected in warfare? What about the Armor of God? What about greater is He that is in me than he that is in the world? God said nothing else. Over the years He’s basically shown me what He meant. First, I’m going to start off with Spiritual Warfare for the newbie Christian and move into more advanced concepts that most Christians don’t address and quite frankly I’ve never heard taught before. I’m going to spend the majority of this post addressing advanced warfare because this is where I see so many getting into trouble. We don’t fight people and we don’t fight them in our flesh (with our own strength). We should always pray and ask God to reveal the spirit behind someone’s behavior or opposition that we are facing and pray against that. Not the person. Please read this to learn how to bind and loose in the spirit. The most important thing that we can do is put on the Armor of God when we are in volatile situations. If you do these things as a new Christian this will help you through difficult situations. You don’t need to progress from here until you master how to bind and loose and how to put the Armor of God on. As an intermediate warrior, you must do all of the things that the beginners does with ease. This means you don’t even have to think about it as this is second nature to you when you are in a warfare situation. Except now you need to add a few other things. Keep in mind that everything in the natural has a spiritual correlation. So if you are a parent and you have a toddler in the car going to the supermarket. You are going to get out of the car, go around, unbuckle the seat belt, hold the child’s hand to make sure they are not going to run across the road and get hurt. This is normal because you have a toddler. What happens when they are 10 years old? Are you still doing that? No. That child should have learned by then how to get out of a car and cross the road safely. Same thing goes with you when it comes to spiritual warfare. God expects you to grow up and use the tools that He has given you without Him having to remind you. So the bottom line is the minute you are not walking in Truth 100% the Armor is off. The minute you step outside of righteousness, armor off. The minutes you are not 100% in peace, armor off. The minute you don’t have 100% faith, guess what? Armor off! The enemy’s job is to get you to violate any one of these so that he can disarm you. The devil can’t take the armor off of you but he surely can send something to make you sin that then disarms you. That’s why the armor should go on right before the battle – everytime! If you put the Armor on in the morning but you have an evening prayer meeting – confess your sins, put the Armor on again! Have you ever been in church full of the Holy Ghost ready to lay hands on someone because you know God is about to work and then the person that you have a problem with walks right infront of you? Yeah. That’s the enemy disarming you. This is why you need to keep short accounts with God concerning your sin. Confess. Repent. Make peace with people. Quickly! Here is a list that you can check to see if you need to repent for anything. 3. One myth I’ve heard in prayer circle is that they were clothe in the Armor since the day they were saved and therefore there is no need to put it on again. Guess what? They’ve been fooled. Read Ephesians Chapter 6 starting at verse 10. You have to put it on or it is not on. Imagine if a soldier going into war thought just being handed his battle gear was enough and he didn’t actually have to put it on to go into battle? What do you think would happen? At this stage, you would have mastered everything the beginner and the intermediate warrior does. And, if you haven’t you should avoid any major spiritual warfare. The most important thing at this point is your character. It’s not that you can flow in the gifts of the Spirit or how long you can speak in tongues or how many visions you have. No. It is your character. What’s going on on the inside? This will determine how you will handle yourself when the battle is heated. Your maturity level. Humility. Love. Submission to authority. Integrity. Being Teachable. Quick to Repent. Quick to Forgive. When the enemy shows up will he have anything in common with you. I am not talking about external stuff that everyone can see. I’m talking about your heart. If you are a person of prayer, every spiritual gift will come to you when you need it. You don’t need to be worried about signs and wonders and miracles. When you are connected to the source all the gifts are available to you. In the natural we have the air, the earth and the ocean. Each one of these dimensions have different laws that govern them. On earth we all respect the law of gravity and we need oxygen to live. This is enforced and there is no way around it. Somehow within us as disobedient children we always find a way to break the other laws, like not driving the speed limit or other things. These laws were put in place to protect us but being sinners we’re always looking for a way around them. The problem occurs when we take the same disobedient attitude and try to enforce it upon the other dimensions. In the ocean, the deeper you go is the more you need to obey the laws that govern the depths of the sea. If you go on a deep sea dive you need a diving suit, and an oxygen tank plus the mask. These are the laws and you can’t break them or you die. Also, a shark can come along and eat you and it’s never at fault. There is no shark or sea creature in jail serving a life sentence for eating people. Why? You were in it’s territory. That’s why we need to be certified to go to a certain depth because we need to know the laws and rules that govern that depths of the sea. When you enter the dimension of the air there are rules as well. You’ve heard the flight attendant give you the rules in the case of a loss in cabin pressure. You also know that due to the change in air pressure you can chew some gum to alleviate the pain in your eardrum. If you wish to go higher into the air dimension you have to train to be an astronaut before you can do that. As in the case of the natural dimension you have spiritual dimensions. The earth is one dimension. Then you have the 2nd heavens where angels and demons live. Then the third dimension where God lives along with those who have passed on. Just as the natural dimensions have laws and rules the same thing applies with the spiritual dimension. There are sick intercessors, pastors, prophets because they didn’t follow the laws and rules that govern the dimensions of the spiritual realm. You MUST put on the Armor of God. This is not an option. It’s the law if you find yourself in the 2nd heaven (Daniel 10:12-14) or 3rd heaven (2 Corinthians 12:2). There may be times when you are in prayer with a group and you were not expecting to enter into a warfare prayer. Well, as soon as you notice you’ve shifted into that put the armor on. This is your protection. Some Christians like to throw around the scripture “everywhere the sole of my feet touches the Lord has given it to me”. Hmmm, not so! Christians use this scripture to go into territories and regions that they have no business being there. Can you imagine if a police man from Miami, Florida tried to go make arrests in Atlanta, Georgia? It’s not happening. Why? That’s not his territory. You need to know your territory and your boundaries when you go to war. Read Deuteronomy 2, even the Israelites had boundaries to their land. They past enemies along the way and God told them specifically, don’t touch that land. You can’t just go into a war in any region you chose unless God told you to go there. Things need to be lined up in the spiritual realm (angels and all) to grant you safe passage so that when you get there you are covered. Angels have territories too and they are not going to move out of their territory just because you decided to do it (I’m referring to the ones that are protecting you). You may not follow the rules but they surely do. Daniel 10 calls the territorial spirit the Prince of Persia because his territory was??….Persia. That means he’s not going to show up in another country. That would be another territorial spirit. Do you understand the consequences of going up against a territorial spirit when you are not equipped? Remember territorial spirits are top dogs in a region so under them there are powers, authorities, spiritual forces of wickedness. So when you go after the 1 territorial spirit now you have 50 others coming after you that are under the command of that spirit. Depending on the size of your ministry, not everyone in your prayer group or prayer line is saved. Therefore, what happens when you have an unsaved person entering into a spiritual warfare battle? You end up in a sons of Sceva situation. Read Acts 19 The problem is these people don’t even know they are unsaved. Most Pentecostal Christians believe someone is saved because they speak in tongues. Have you heard of demonic tongues? Not everyone who speaks in tongues is saved. Whenever you are entering into warfare with people you don’t know, everyone is an hostile until proven ally. You’re not going to tell this to your prayer group but you need to govern your spirit in such a manner. Armor on. Shield up. Especially if you get this a check in your spirit about someone. Pay attention to that. You were given dominion over the earth realm and your territory so if someone with a demon is in your path you can cast that out safely. You do not have dominion in the 2nd and 3rd heavens. There you are in the domain of demons and angels. Problem occurs when we get into intercession and end up in the 2nd heaven or the 3rd heaven and violate the rules. When you do this you put yourself in danger. In the 2nd heavens these beings don’t have physical bodies. On earth sometimes they will possess a person but they can also roam around without a body as well. So that means they can also operate in more than one dimension. This is why it is very important that you have the gift of discerning of spirits if you are going to enter this level of warfare. You need to be able to discern a spirit whether or not it has a body. c. Flew up into the 2nd heaven without permission from God and started warring with beings. e. They come back into the natural realm and got inflicted with sickness and disease, their marriage fell apart, they are living in poverty because they are now plagued by demonic spirits they are still not equipped to fight. f. The saddest part of all, is when they take a new Christian into battle with them to “train them”. This would be like the Army taking the toddler to war in Iraq or the 10 year old. Can you imagine that? Totally irresponsible. 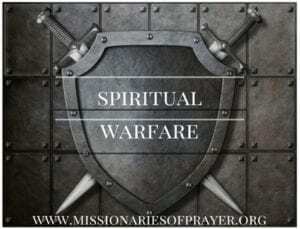 If you have unsaved people in your prayer group or on the prayer line – do not go into spiritual warfare with them. You are opening these people up to attacks. If you have new Christians same rules apply. This would be just as bad as casting out demons with unsaved people and children sitting nearby when you don’t know how to properly send demons out of a room. Very bad. We have to be mindful of these things. People’s lives are at stake. If you are a new Christian and you find yourself in a prayer group, in a battle and realize they did not put the armor on, put your Armor on and take note this prayer leader has no idea how to protect the people that they are mentoring therefore you should probably find yourself another mentor. “I must go on boasting. Although there is nothing to be gained, I will go on to visions and revelations from the Lord. 2 I know a man in Christ who fourteen years ago was caught up to the third heaven. Whether it was in the body or out of the body I do not know—God knows. 3 And I know that this man—whether in the body or apart from the body I do not know, but God knows— 4 was caught up to paradise and heard inexpressible things, things that no one is permitted to tell. 5 I will boast about a man like that, but I will not boast about myself, except about my weaknesses. Where was Paul? In the 3rd heaven when he got a thorn from a messenger of satan (a demon). Notice that he doesn’t even talk about the fact that he was the one in the 3rd heaven..he says “I know a man in Christ”. What can we learn from that? Your 2nd and 3rd heaven experiences are not to be shared. Unless God gives you permission you are not talk about them. Why? It could be boasting and the next time you come back into the natural realm you too may have a thorn. Picture this, you go into the 2nd heavens in a heated battle with demonic spirits and you win. So you come back and you and your entire prayer group proceed to high five each other, walk around telling everyone about your great victory. Now those demonic spirits come looking for the persons who were involved in the battle. It sure was easy to find you because you had no helmet on (somebody forgot about the Armor) on top of that you and your big mouth led the demons straight to your house. So guess who is about to get seriously harassed and inflicted? That’s why you can’t talk about it. There’s a reason Paul couldn’t talk about it. You need to follow suit. If you are a part of a prayer group and you have had these experiences and the leader of the group comes back and tells others about it, watch out! Give God His Glory. This is where the humility comes into play. What are some of the signs you’ve stirred up demons in the spiritual realm? You are sick. And, it may be what I like to call a “phantom illness” which means you know you’re sick, you have symptoms but the doctors can’t find anything wrong. This could be because it is demonically induced and you are not really sick you just need to get rid of the demon and the symptoms will go as well. You are sick and it has been diagnosed but now you know, after reading this, where you got this illness. I want to say very clearly that not all illnesses are from demons. 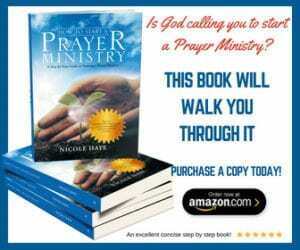 Ever since your experience in prayer your household is a mess! Your marriage is on the brink. Your children are not the same. Your finances got trashed after your prayer experience and you’re still trying to recover. You feel like you are in a wrestling ring being “tag teamed” by demons. The minute you defeat one, another one jumps in and then you defeat that one and another one jumps in and so on and so forth and it has been going on for a very long time. You are worn out and don’t know how to make it stop. Remember, demons don’t have physical bodies so they never get tired, they don’t have bills to pay, a spouse, children so their only concern is you. You will never win in a war like this with prayers you found on the internet or YouTube. Does this mean that you should never go into the 2nd and 3rd heavens? No. The key is to get permission. When God grants you access you are golden! He’s going to make sure that you are covered because He would have a purpose behind your visit. Notice Paul is not giving much details as to why or how his affliction happened except that he got it so he wouldn’t be boastful. Boasting is a sin. Also, you can’t have doors open in your life in the area of sin and go in and out of these realms. Eventually a demon will gain access to you through that open door. The Apostle John who was brought into the 3rd heavens so he could write the book of Revelation. He was only allowed to write what he was told to write and the entire time he was escorted by an angel. “The Revelation of Jesus Christ, which God gave Him to show His servants—things which must shortly take place. And He sent and signified it by His angel to His servant John, who bore witness to the word of God, and to the testimony of Jesus Christ, to all things that he saw. After these things I looked, and behold, a door standing open in heaven. And the first voice which I heard was like a trumpet speaking with me, saying, “Come up here, and I will show you things which must take place after this.”Immediately I was in the Spirit; and behold, a throne set in heaven, and One sat on the throne. John was there by invitation from Jesus, he was told to speak of it by Jesus through writing to the different churches. He was only able to move through the heavenlies when they told him to move. When you read the book of revelation pay attention to the fact that John did nothing in the 3rd heavens unless he was told to do it. So he was not a rogue warrior in the heavenly dimension doing what he thought was right. You must have permission. If God brought you in safely, He is able to get you out safely. When Daniel was wrestling in prayer in Daniel 1o, he didn’t fly up into the 2nd heavens to war against the Prince of Persia. No. He stayed in the earth realm and through is prayers and fasting to God the Lord sent Micheal (who is also a Prince) to fight the Prince of Persia so that Gabriel could deliver the message. Have you ever wondered why Gabriel didn’t fight the Prince of Persia? That’s not his job. Messenger angels deliver messages and warrior angels fight wars. They know their place. They follow the rules. We need to do the same. Now that you understand how you got afflicted how do you fix it? Repent. When you decided to go to war with things you do not understand you basically usurped God’s authority. You decided to play God and so he stood on the side with His angels. He’s waiting for you to give him back His throne and step out of the wrestling ring so He can do what only He can do. Abba Father, I repent for usurping your authority and thinking that I could fight this war for You. Forgive me Lord for this transgression. Forgive me for moving out from under the shadow of your wings. I am removing myself from this battle and handing it back to You. The battle is Yours Lord. I am giving back the throne to you my Warrior King and humbling myself under your Mighty hand and waiting for your deliverance. I call upon El Gibbor, the Mighty God and Jehovah Sabaoth the Lord of Hosts to take His rightful place on the throne of my heart and fight this battle for me. Relinquishing it to You, in Jesus Name! Amen. You see the only one that can ever get the Glory is Jesus. He is the only one who is Mighty to save and can defeat these spirits. So when you are in these realms He is the only one along with His angels that can defeat this. His name is EL GIBBOR. This the Hebrew word for Mighty God. This is the God of the Battle. It is Jesus. After you’ve repented God will be watching to see if you meant what you prayed so when you get up in the morning, put your Armor on, pray Psalm 91 and Read aloud Psalm 24. This is the Psalm that calls in El Gibbor. Do not be alarmed if you feel the hairs on your arm stand up when you read this aloud. It is a warfare scripture and most people don’t realize it. Once you read it aloud you’re done. No more searching the internet for prayers to defeat your giant, no more taking it into prayer rooms, you are done – you gave up the throne. You called El Gibbor in and He takes over. Go about your day. You will start to notice that the demons are gone. The minute they realize you exited the wrestling ring and El Gibbor is on the scene?! Game over!! The first part of the Psalm acknowledges that God owns everything and He alone is in charge of all the dimensions. The second part shows that you can’t come to Him less you repent of your sins. You need to be quick to repent and confess of your wrong doings. The third part after you’ve cleansed yourself from sin you now call on El Gibbor to enter your situation. Nobody can deliver, but God! I know this was a long post but I know that this will set some people free, bring clarity and save some of you from entering into unsafe situations. If you have been blessed by reading this, will you share it? You could be helping someone else. Also, if you need some prayer support, write the prayer request in the comment section and we will pray for you. Please remember that you also need to do your part. We can’t repent for you and we can’t call El Gibbor into your situation only you can do that. So you do your part. El Gibbor does His part. And, We will do our part by praying for you. Please pray for me and my loved ones. Thank you Jesus for leading me to this site. I have been trying to fight my battles on my own and visited websites on how to fight the enemy. Sometimes I would look at the prayer points and say to myself “oh Lord I cant say this” but then will continue with the rest. Only to get attacked even worse and I could not understand why is this happening to me. Somehow deep down I knew I was going into the enemies territory and swear I will not do it again but give it a week and I stumble accross something and start again. Yes, it is true that even if certain demons didnt know me they would attack because I was bringing attention to that. For example, I was praying for healing and for God to remove the lumps in my body that were not painful only to find more painful lumps popping up. It is by the Grace of God that I am alive. After reading about the revelation you had I put on the full armour of God and repentented and prayed the prayer to hand the battle over to God. I wil continue with the same prayers in the morning. May God bless you for this revelation. Awesome Audrey! Yes, please do. I want people to hear the testimonies of others who have battled in this manner and it works! Also, keep in mind that you don’t want others to continue praying over it as well because they will also continue to stir the realm up around you and the results will be the same. Wait until everything calms down and then proceed. I just want to share that I prayed the prayer and handed over my battles God and repented and followed all your instructions….I experienced VICTORY! I failed to mention in my first message everytime I slept I would awaken with my elbows and my fingers being stiff and painful and I knew it was not normal so I would say this is not my portion. The morning after I followed your insinstructions I got up with no pain!! Just to share a bit more if I may. I have been a victim of witchcraft at work before I became a child of God. I didnt believe witchcraft existed. Eventhough at the time I didn’t know God He brought me through. Not long after I gave my life to Christ. I fell into sexual sin (not anymore) and thats when my troubles began and being ashamed I decided to wage warfare on my own. I was being attacked so much then went for energy healing not knowing the source. I could write a book. Recently I left work and I cannot seem to get a job eventhough I applied for jobs. I remember a time I would send out my my cv and will get the job with no effort at all. I was very confident at the time. Just the other day I went to an interview and one of the ladies kept staring at me in a not so nice way. The next day I was told I was unsuccessful. The following day I had another interview via video call. I started off fine but all of a sudden I got nervous and was babbling. I would like to ask if you will please pray for me to get a job. I have never been out of a job and now I live with my daughter and her family. I feel im intruding on their life. One more thing, now that halloween is coming up is there anything you can share to keep us safe. Last year halloween I had a DREAM about a whole lot of people dressed in costumes. I had some sort of grenades and I managed to kill some of them the others jumped on a train and were laughing at me. This happen on 31 October. This is another thing I thought halloween day was harmless and just for kids to go and have fun in America. We in South Africa don’t celebrate halloween. Im sorry for so many stories and issues in my life but i am desperate for help for which I take responsibility for. Awesome! I knew this would work because it’s already been tested and proven successful in the lives of many others. You keep on this same path and don’t deviate. You no longer need to repent because you’ve already done so but you still need to get the Armor of God on everyday. You need to pray the Psalm 24 ask for El Gibbor. These are the same demons hindering your job search so now you just need to ask El Gibbor to move them off the job search and that’s it! The next comment from you I expect to hear that you have a job! Praise the Lord. After following your instructions I have already experienced VICTORY! I failed to mention recently I was getting up with pain in my fingers and elbows which I refused to accept as normal. After praying and repenting and handing my battle over to God I got up PAINFREE! I will continue with these prayers every morning and night. Please pray that I get a job soon. I went to one interview after many applications. One of the ladies in the panel just stared at me in a not so nice way. I was told the next day i was unsuccessful. The next day I had another interview via video call but got nervous for no reason. I was always full of confidence and not in an arrogant way but I have lost confidence. Wow wow wow God is good my marriage is on the brink of seperation but i am glad God has used your website to show me how to pray i went into warfare and i stired up warfare in my own strength. I am thankful to God help me pray for restoration of my marriage and my husband to renew his covenant relationship with God. I need more guidance and help on prayer and how to do it. God bless you so much. Hello, i just want your help on how to deal and go about issues concerning withcraft and black african magic against our lives and families. my family is caught in the mix of it.. people are against us and they want to destroy us uaing that.i was in a relationship that i ended because of reasons that were beyond me. but my ex has started using the same to try to torment me.worse is she is thinking of killing me using those things.please pray and advise me..guide me..how to go about it. I found this prayer online a year or so ago, and I’ve been praying it regularly, I put on the full amour of God beforehand (granted sometimes I’ve forgotten) yet everything seems to have gotten worse. Which parts of this prayer would be considered stepping into the 2nd & 3rd territory? I thought we had authority to bind up principalities and powers of darkness. I really need clarity at this point as I’m now super confused. The name of Jesus, the Name that is above every Name & ALL things (Phil. 2:9,10 & Eph. 1:20-23), I bind up every unclean spirit & assignment coming against me, (my children, family) from, by or through anyone or anything, named or unnamed, known or unknown, 7 generations back. In the name of Jesus, I bind up the principalities, powers, rulers’ of the darkness of this world, spiritual wickedness & hosts in high places, & the prince of power of the air. In Jesus name, I bind up the strongman, the old man, every prince & stronghold, the spirit of antichrist, every evil spirit & plague, the spirit of confusion, illusion & delusion. In Jesus name, I bind up the spirit of infirmity, sickness, disease, pain, addiction, affliction, calamity, the devourer, the destroyer, the accuser, the deceiver, the corrupter & every spirit of poverty. In the name of Jesus, I bind up the spirit of strife & division, back biting & gossip, critical & judgmental spirits, spirits of resistance & hindrance, every spirit of retribution, revenge & retaliation, & the lying, seducing, deceiving spirit of deception. (I TIM. 4:1,2) In the name of Jesus, I bind up every root of fear, doubt, unbelief, discouragement & every deadly D from despair to depression, the spirit of pride, rebellion, disobedience, self, ego, independence, unforgiveness, bitterness, lust & the flesh. I’ve read this and white honestly, I’m even more confused. It’s a long post and the instructions for moving forward needs clarification. What exactly are you advising us to do? I understand that we must put on the full armour of God, confess, repent, read Psalms 91 & 24. But what does it mean to ‘pray at our level’? Should we not bind & loose at all then? e.g. if the devouring spirit is at work I’m mine and my family’s finances for example, should I not bind it and cast it out? Or if I discern the Spirit of jealousy running a mock in my life or in my office environment, should I not bind and cast it out? Or am I supposed to seek God’s permission to do this, I read we have authority to bind & loose on Earth and it would be reflected in the heavens. …but now I’m just struggling to understand where the line is drawn between binding & loosing on Earth, and getting into battles in the 2nd & 3rd heavens. Would be great if you could provide me (an intermediate) with examples. Hi Mizzy, it is as it says once you pray the prayer that you have posted here then you have officially agitated the demons in the spiritual realm. Why would you bind calamity, gossip, backbiting, old man and an antichrist spirit etc. when it’s not in your path? Are ALL of these bothering you? You have in essence “poked the bear” and this is why you have a problem daily. Pray only what you need to pray don’t disturb a demon that has not even noticed you. And, then on the days you’ve forgotten to put your armor on you are now a sitting duck because you stirred it up a group of demons. You need to go to the very bottom and pray the prayer, which in includes repentance, and humble yourself and let El Gibbor take over. The fact that you don’t know how to make them stop means it’s above your level. While many of these warfare prayers online sound great and comprehensive to keep things at bay if you are reading them and it is too much for you or you start reading things that are not related to your situation, you need to leave them alone. They will work for others, they just won’t work for you. I guarantee you this, if you go back and look at the list of what you have been binding these are the same spirits attacking you now. And, some of them probably weren’t even bothering you prior to you stirring them up. At the bottom of the post there is a heading that says “Now that you understand how you got afflicted how do you fix it?” Read that section. This is how you get rid of them. To be quite honest I had no idea. I’ve always been taught to take authority over my situation in the name of Jesus and bind & loose directly. The worst part is I’ve been doing this on behalf of loved ones. I’ve repented for it all and covered my family and myself on the blood of Jesus. Now I know better thank you. Hi Mizzy, yes most people who get into this situation don’t understand how they got there. I want to share this with you as well. https://www.missionariesofprayer.org/2018/03/intimacy-god-part-1-reverence/ It is a long read but if you follow the process and take the time to do this those demons will be off your back for good. God will walk you through this. We will be praying for you. God Bless. I’m the Pastor, or the former Pastor GOD was speaking to u about. Everything u mentioned is dead on. I wasn’t ready, I knew it, didn’t want too but, for the fear n glory of GOD, I stood up to answer the call of GOD. My life has never been the same since. Everything took a nose dive, as we when to war for the parishioner n myself almost immediately. Fasting , praying, binding, loosening, n commanding things to high for my understanding; I had a zeal, but w/out understanding. I knew the word of GOD, the Holy Spirit had taught me well on this. Had an anointing and love to preach, n the church prospered greatly and quickly. But, I had no ideal about the things I was getting myself into, the dimensions, ranks, etc of stubborn demonic spirits, and how they would gang up on u, like no body else n life existed. I though that by declaring the name of Jesus after a round of binding, loosening n casting out, that would win the battle. It’s now been 7 long hard yrs. of fighting various ailments, household is a mess, the death of a young child, finances got trashed n we’re still trying to recover, feels like I’m n a wrestling ring being “tag teamed” by demons. The minute I think I’ve defeated 1, another 1 just jumps n, n it starts all over again w/out any rest n recovery for me. Everything has been attacked, continuously. I’m tired, worn out, embarrassed, broke (though I was very much so gainful employed b4 all this), unemployed (though I’ve applied for several hundred to several thousand jobs), helpless, hopeless, frustrated, etc. n have thought seriously about self terminating just to end the torment n end the attack n embarrassment on my family, if I was out of the picture. I’ve scoured the Net for solutions, n only found unrealistically long crazy prayers n declaration, n 1 of these exhausting prayer for ea situation, but I did it. I’ve been told to fast more n more, pray more n more, all of which I also did, all to no avail. I don’t think u know me, but u are definitely speak of me n my situation. I’m going to implement ur suggestions. PLEASE PRAY FOR ME!!!! Hi Raymond, I’m so sorry to hear that this happened to you. But as I’ve written here the solution works. If you follow what you read here your life will go back to normal. Slowly but surely, one piece at a time. The most important thing is to share the post with your wife because the both of you need to be on the same page about this. If you have older children that are also praying and battling these spirits too you need to let them know too. Everyone needs to submit to God at the same time. I know this may seem counter to everything that you have read online or videos you may have watched but it is exactly what you need to do. What most of those prayer websites/ministers fail to tell people is that their prayer works for them at their level. It’s not for everyone. It’s taking the job of the General and giving it to the Officer. Even if you are the Captain, you’re still not the General. So most of these spiritual warfare prayers online or on YouTube stir up the highest level of demons and then the people praying them are not equipped to handle it. I will be praying for you. But truly, if you follow what you read here, that will end it. Also, don’t talk about it with others. Just let the dust settle on this. You shouldn’t be afraid of warfare because you will be called on again to fight in the future but at least now you’ll be able to discern when you shouldn’t get involved in a battle. All you need to do now is put the armor of God on every day. That was just one of the demons working on you to end your life. Well, don’t listen to them. You found this information so now YOU WIN!! God bless. Thank you so much for this in-depth insight I never knew is not every battle you fight one need instructions from God. Thank you holy spirit for sight I have been asking God questions about my situation that I couldn’t find answer due to finance,marriage,my walk with God but with this e book I have little insight and I pray God open my eyes to things that I am ignorant. Please pray for me to get a balance in my finances and my spiritual life. Since three years I have been out of job any thing I lay my hands to do doesn’t work and this have been affecting my marriage,finances my relationship with God, I find it difficult to think straight. Thank you from the bottom of my heart for this! Awoke in the night totally under attack, nowhere to turn, felt overwhelmed but this helped me to get all back into perspective. Please will you pray for any confusion to go, for me to have clarity with this situation I am in, for me to keep God as The Lord of my heart and for me to have the peace of God which surpasses ALL understanding? I love the Lord and my life’s desire is to complete the call on my life . I’ve experienced these attacks that you mentioned . From my finances to my health for many years . I’ve endured much suffering to surrender my life completely to Christ for His usage and glory. I’ve learned and continue to learn to die to self . I want to do what Jesus commissioned me to do In Mark the 16th chapter. I am burn again and Spirit filled but I never had a mentor . My training has been by way of the Holy Spirit . The people group that Jesus has called me to need revival. I’m believing the Lord and standing in the gap for this great harvest and signs and wonders. I’m talking gang violence, drug addiction, kids out of wedlock, homosexuality just the name a few. The local churches are useless in dealing with these areas but Jesus has out itbin my heart to set the captive free. It seems so daunting and I’ve suffered much from rejections to attacks . I wanted to quit but the Lord has revived me and my zeal has returned. Please lift me up. I’m reducing my days at work to grow to begin growth of the work that Christ has called me to. I will place in the armor daily . I actively repent but I will be more mindful . It has been like this for me every since I’ve been Spirit filled. My life has been very very hard. I wonder how any saint/ believer in warfare prayer go to war in the 2nd & 3rd heavens? Paul was caught up to the third heaven. He did not go by himself and even that may be was a vision that he was not sure about. For John it was God Who gave him that vision.